Over the last decade we’ve continually heard the cinema industry is in dire straits. Increased competition from video streaming sites, illegal downloads and improved home entertainment technology is challenging the long-term prospects of cinema operators (Anning 2015). This is supported by statistics that show a 14 per cent decline in the number of people attending cinemas in Australia over the past 10 years (Di Rosso 2015). Capability constraints. These are limits on human movement due to physical or biological factors such as the need to sleep or to eat, access to mobility tools and the availability of temporal and financial resources for conducing activities and making trips (Hagerstrand 1970, cited in Schonfelder & Azhausen 2010, p.38). Coupling constraints. These are restrictions on the autonomous allocation of time due to the need to coordinate with institutional logistics (schedules or given locations) or interactions with other individuals (appointments or meetings) (Hagerstrand 1970, cited in Schonfelder & Azhausen 2010, p.38). Authority constraints. These are limits on when activities can or cannot take place, or where they must or must not be located, imposed by external parties. For example, mandatory closing hours is a potential constraint on individual behaviour (Hagerstrand 1970, cited in Schonfelder & Azhausen 2010, p.39). These spatio-temporal constraints which travellers are exposed to can be applied to my recent movie-going experience. 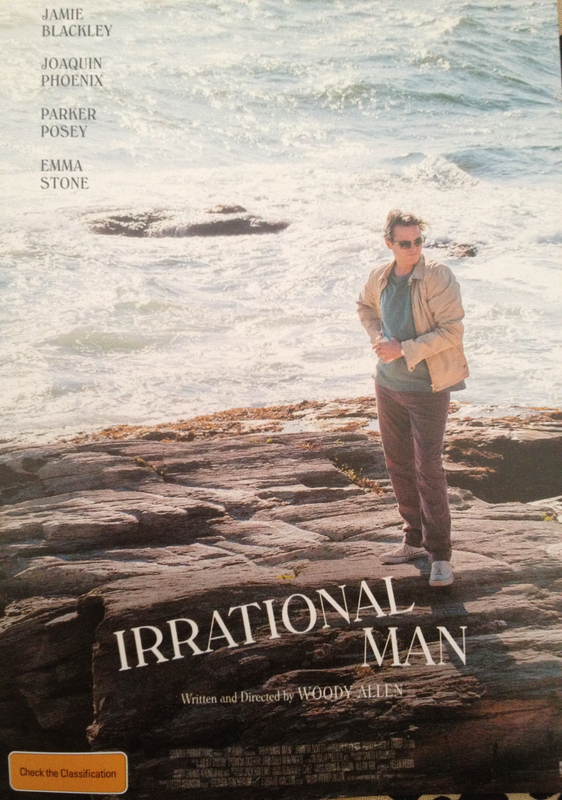 Last Thursday, my Mum and I went to watch Irrational Man, Woody Allan’s dark comedy about a brilliant yet tormented philosophy professor in crisis. Our choice to watch this movie was easy – my mum had received a 2-for-1 pass in a magazine. The capability constraints of transportation and financial capability were obliterated as I had Mum, her car and her wallet to ensure a safe and easy journey. A coupling constraint was encountered when we could not locate any local cinemas in Wollongong screening the film (the 2-for-1 pass also had restrictions). With the film not showing at the Greater Union Wollongong and only available at a select handful of HOYTS cinemas in the Sydney region, we resigned to the fact we may need to watch a different film. 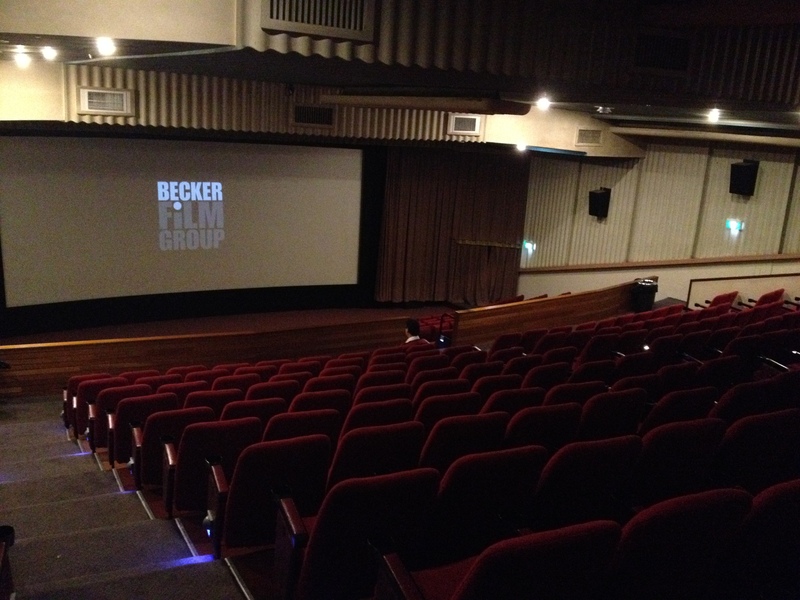 However, a light bulb moment soon struck when we realised we had forgotten about Gala Cinema in Warrawong, the Illawarra’s only remaining independent and locally owned cinema which, to our luck, was screening the movie. Both capability and coupling constraints arose when Mum and I selected a date (Thursday was the only option due to our other weekly commitments) and a time, either 10am, 1.30pm or 6.40pm. With the 6.40pm time deemed too late (a capability constraint as Mum would fall asleep), too cold and too dangerous to park and walk, we choose 10am. This was an ideal time as only two other people were in the cinema, leaving us ample opportunity to stretch out our legs and sit in direct view of the screen. Gala Cinema at 10am on a Thursday. Mum and I sat in the middle of the theatre. The authority constraints typically associated with movie-going include movie ratings and informal rules such as no talking and turning off mobile phones. However, given the time of day we went, these rules were not strictly enforced. In fact, my Mum and I walked in without an usher checking our tickets and there was no problem with talking in the cinema as we were seated far apart from the two other audience members. Through this experiment, it has become apparent that Hagerstrand’s three constraints are the very reason why cinema attendance is declining. Video streaming websites offer an unmatched convenience and ease of access that eliminate the constraints experienced due to the temporal and spatial conditions of movie-going. For example, Netflix’s anytime/anywhere business model eliminates the hassles of planning and scheduling, travelling and parking while illegal downloading provides a means of circumventing movie ratings. At the same time, however, I have also realised that the social experience of watching with complete strangers as a collective group makes going to a cinema unique and magical. Ultimately, movie theatres will need to stop competing on convenience and start focusing on experience to ensure their survival in the next 5-10 years (Lee 2015). This involves investing in “higher experience” theatres with smell-o-vision, kinetic seats and unique designs (Lee 2015). Offering private screening rooms for children’s birthday parties and subscription memberships (such as paying $50 per month for unlimited viewings) could also help to entice viewers. Cinema operators could also screen films for niche audiences not traditionally served by blockbusters, such as foreign films or documentaries. This is important to compete with online streaming services such as Netflix which offer both high demand products catered to a hit-driven culture and niche products with a broader appeal. Finally, it may be necessary for movie theatres to alter their business proposition to save the cinema industry. For example, creating YouTube compilations with a theme such as funny cat videos or screening major sporting events would help cinema operators maintain a differential advantage and ensure movie-going remains a unique, fun and exciting experience. Anning, J 2015, ‘Silver screen slowdown: Cinemas under threat from streaming services’, Media Centre, 25 February, accessed 30 August 2015, <http://media.ibisworld.com.au/2015/02/25/silver-screen-slowdown-cinemas-threat-internet-streaming-services/>. Di Rosso, J 2015, ‘A new golden age: how cinemas are surviving in the age of Netflix’, ABC, 9 April, accessed 30 August 2015, <http://www.abc.net.au/radionational/programs/finalcut/are-cinemas-dying/6377650>. Lee J 2015, ‘Cinema is Dying: How Movie Theaters Can Ensure Their Survival’, Make Use Of, 16 April, accessed 30 August 2015, <http://www.makeuseof.com/tag/cinema-dying-movie-theaters-ensure-survival/>. Neutens, T, Witlox, F & Demaeyer, P 2007, ‘Individual accessibility and travel possibilities: A literature review on time geography’, European Journal of Transport and Infrastructure Research, vol.7, no.4, p.335-352. Schonfelder, S & Axhausen KW 2010, ‘Time, Space and Travel Analysis: An Overview’, in S Schonfelder & KW Axhausen (eds), Urban Rhythms and Travel Behaviour: Spatial and Temporal Phenomena of Daily Travel, Ashgate Publishing Company, Surrey, p.29-48. This entry was posted in Media, Audience, Place and tagged cinema, constraints, Hagerstrand, movies. Bookmark the permalink. 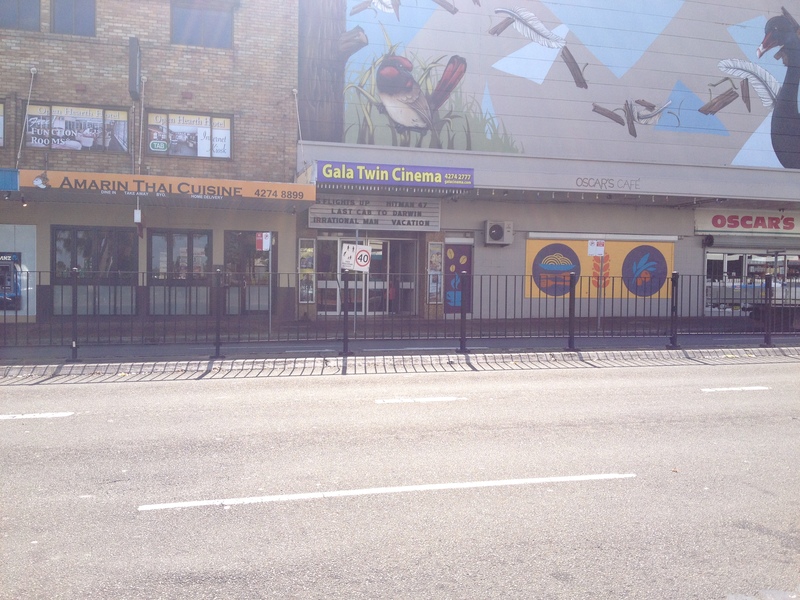 The Gala Cinema is one that really interests me, in relation to the constraints of location. I’d be interested in your thoughts on how specifically small theatres like this one could adapt to the strategies that you’re thinking of. Beautiful post, I loved the photos. Please thank your Mum! I know that small cinemas like the Gala compete on price with chain theatres. However, I think this is becoming irrelevant as most consumers favour online streaming services anyway. 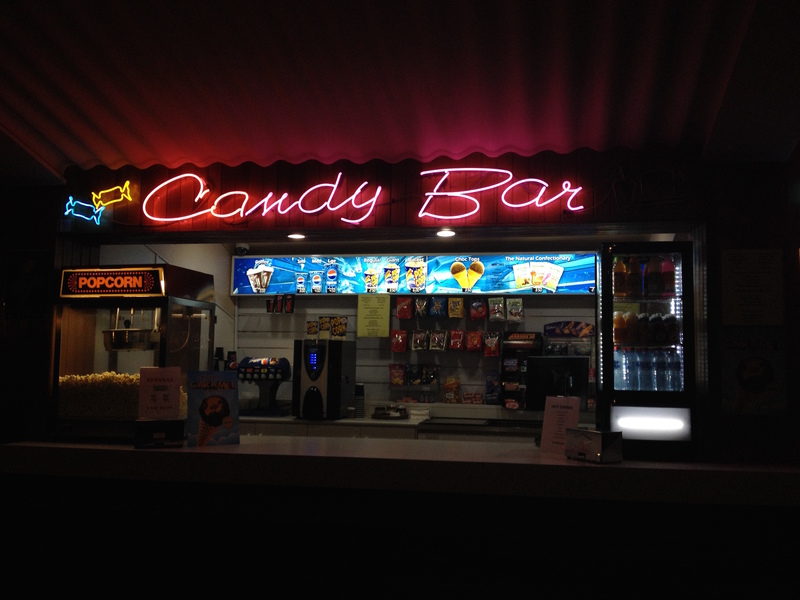 Rather, I think small cinemas need to look at catering to niche audiences. This is already being done through cinema-on-demand platforms such as Fan-Force that allow people to request certain films, typically new independent ones and old classics, at participating cinemas. The Gala is the only cinema in Wollongong participating in Fan Force, and I was surprised to see on their website that certain films actually sell out. I think small cinemas could also look at marking special events. For example, prior to the launch of a new Star Wars movie, they could rerun the old ones. Such strategies would give small cinemas a unique edge over larger complexes such as Hoyts which only distribute the latest blockbuster films. I am uncertain, however, how effective these strategies are in attracting younger audiences. Pingback: A Changing Cinema – ellenie sarah. Pingback: The Cinematic Experience – Coffeehouse conversations. A blog about a person who does things on the internet. A coming of age story that will be typical Oscar bait in a few years. "Words are, in my not so humble opinion, our most inexhaustible source of magic, capable of both influencing injury, and remedying it"